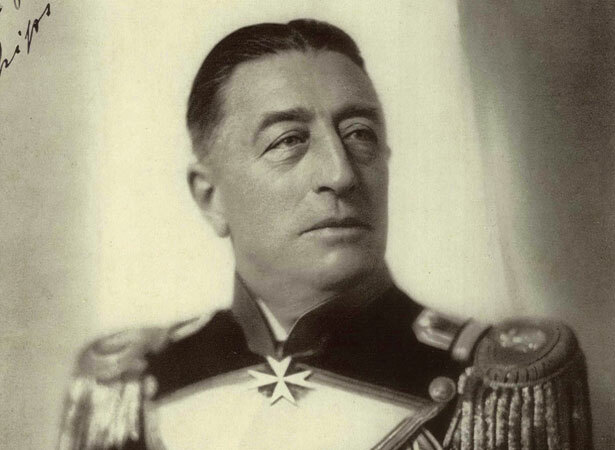 German Count Felix Graf von Luckner earned the epithet Der Seeteufel (the Sea Devil) for his exploits as captain of the raider SMS Seeadler in 1916–17. The Seeadler, a converted merchant ship, sank 14 Allied ships in the Atlantic and Pacific between January and July 1917. Von Luckner prided himself on the effectiveness, and bloodless nature, of his operations; only one person died during his raids. In August 1917 the Seeadler ran aground on Maupelia (Maupihaa) atoll in the Society Islands, stranding the crew. Using a salvaged open boat, von Luckner and five men sailed to Fiji in the hope of capturing another ship. When they reached a Fijian island in September, police arrested them. Sent to New Zealand, von Luckner and his crew arrived in Auckland on 7 October before being confined to a prisoner-of-war camp on Motuihe Island in Waitematā Harbour. His escape on 13 December made national headlines. Recaptured in the Kermadecs eight days later, von Luckner was sent to Ripapa Island (in Lyttelton Harbour) before ending the war back on Motuihe. We have 23 biographies, 40 articles, related to German 'Sea Devil' imprisoned in New Zealand.